Less than two hours from Athens, the village of Trikala in the Peloponnese is a gateway to a gorgeous landscape of mountains, forests and lakes. 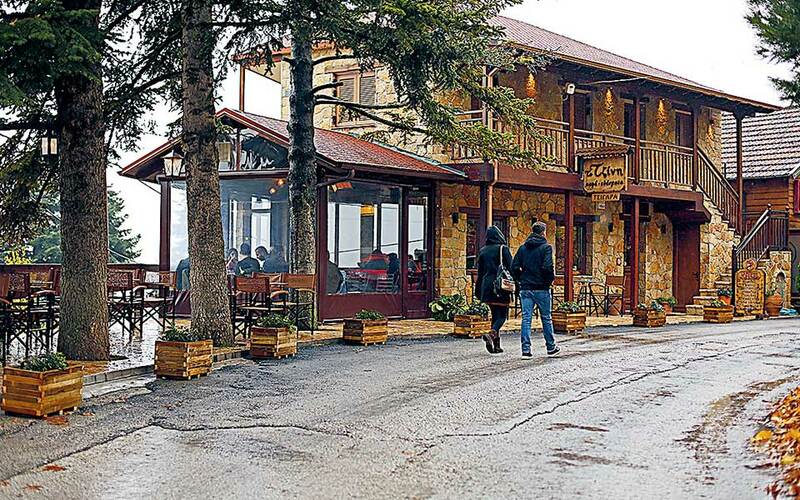 Two hours – at most – is all the time you need to get from Athens to Trikala in Corinthia, an amalgamation of three villages that today makes for a very well-developed highland destination. The wide variety of accommodation options on offer cater to every taste and budget; the list includes a cozy, aesthetically-pleasing inn called the Varnevo (tel +30 694.494.9575, from 70.00 euros per night for a double), and the resort Pliadon Gi (tel +30 27430.911.38, from 140.00 euros per night for a junior suite), which also has an interesting lounge and lovely spa. At the same time, Trikala can act as a good springboard for excursions on Mt Kyllini (aka Mt Ziria). Nearby Lake Doxa is wonderful any season of the year, and the drive to this manmade lake takes you through forests of fir. Upon reaching the village of Karya, be sure to make a pit stop to fill your water bottle up from the fountain located next to the plane tree in the village square. If the weather forecast predicts snow, it should be taken into serious consideration; the area gets blanketed in white often and in no time at all. Further up, the turning that leads to Goura provides a good excuse to make a small detour and head for this village’s square – it’s worth it. 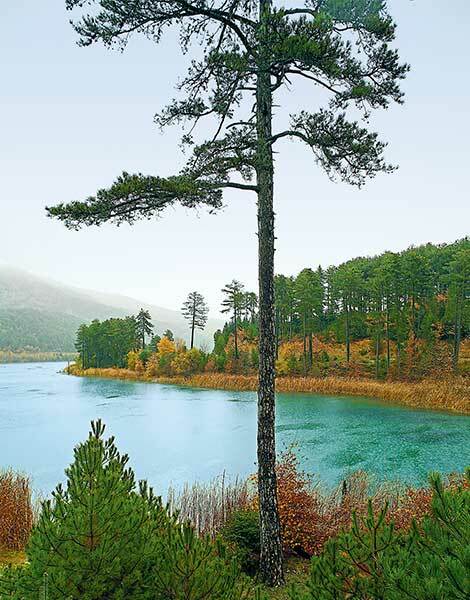 After reaching Lake Doxa, you can either drive around the perimeter of the lake, or walk along its shores and surrounding verdant slopes, which are blanketed by black pine trees. 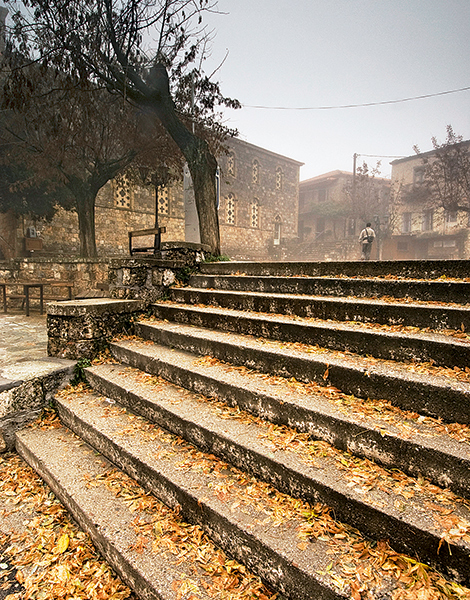 Take a stroll as far as the chapel of Aghios Fanourios, and buy pulses and mountain herbs from the vendors found in the area. On a recent trip to the lake, a light rain was intermingled with snow flurries, and we saw true snowfall higher up around the monastery of Ai-Giorgis. While gazing out at the landscape through an old window, we enjoyed a rose spoon sweet – what the monastery customarily offers its visitors. Those who don’t think twice about driving on dirt roads can take an alternative route, one literally through the forest, via Lake Dasiou. This body of water encircled by fir trees is usually only seasonal, although last year it lingered throughout the entire summer. A good stop for a bite to eat is To Diasimo Koutouki tis Doxas (tel +30 698.306.7862) – formerly known as Staikos – which now operates under new management, and serves up grilled and oven-baked dishes, including game. Bear in mind that each of the routes already described take – at most – half an hour of slow, enjoyable driving. If you still haven’t got your fill of wandering around mountains and lakes, Mount Kyllini holds many more surprises in store. You can continue by crossing the Feneos Plain, which is known for the high quality of the pulses its produces. In the mornings, it is often frost-covered. Don’t be surprised if you happen to see it flooded in places; this used to be another one of the area’s lakes that was drained in order to be converted into a fertile valley. Kyllini’s love affair with water is truly endless. The view overlooking the Feneos Plain becomes even more beautiful as you ascend towards Messino. A good number of bends in the road follow; you now find yourself on the slopes of Mount Oligyrtos, in the midst of rich forests of Abies cephalonica – or Greek fir trees. Upon reaching Lake Stymphalia, be sure to pause along its shores for a few snapshots, and to spot the few that winter here and their nests among the reeds. 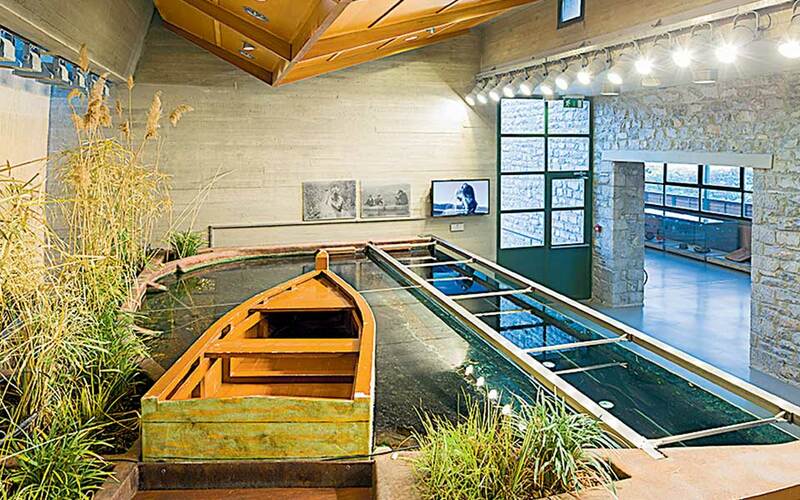 Do not pass up the chance to visit the Environment Museum of Stymphalia (tel +30 27470.222.96, piop.gr). Through the help of modern audiovisual materials, you will be able to find out more about the region’s geology, and come to better understand what is happening underneath Mount Kyllini, and how its natural underground channels and sinkholes are connected to all these local lakes. The route linking Trikala Corinthias to Lake Doxa is 36km long; from there, Lake Stymphalia lies a further 14km away.